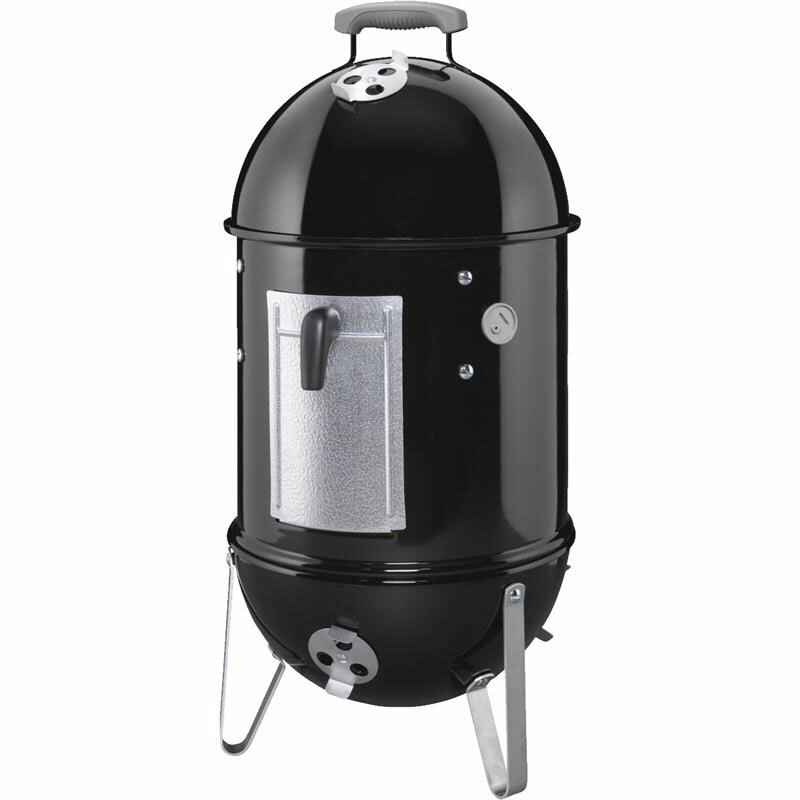 Weber Smokey Mountain Cooker Vertical Charcoal Smoker - 14" Dia. Seasonal item, call for availability. Porcelain-enameled bowl, lid, and water pan. Water pan adds steam to the smoking process. 2 steel cooking grates. Meat stays moist and tender. Rust-resistant, aluminum fuel door makes adding fuel easy and convenient. High-temperature, silicone grommet allows for easy access into the smoker for temperature probes. 4 rust-resistant aluminum dampers. A durable built-in lid thermometer allows you to easily monitor your smoker's temperature. Glass reinforced nylon lid handle.Premium cover included. Dimensions: 30.5" H x 14" Dia. Surface Area: 286 Sq. In.